A few years ago Mission U-Too helped a local guy, Allen, get into a trailer. You might have heard his story before, but we wanted to give you a little update on his current needs. Allen was homeless living on the streets of Bastrop. His story is a bit unique because Allen doesn’t have a drug or alcohol issue. He was on the streets because his adopted mother and father had passed away, and Allen wasn’t able to inherit the house that was left for him. Allen was taken care of by his adopted parents because of his disabilities. He was left to fend for himself and made a bed wherever he could find a place to rest his head. He came to Mission U-Too hungry and angry. As we started building a relationship with him, we taught him how to budget, helped him find his identity, and did much research on finding him a trailer. Allen was able to buy his own trailer with his saved money. The trailer was an old FEMA trailer that is now no longer livable. Recently he’s been staying in a motel or at a friend’s house. We are currently looking into resources and other places/trailers that he can afford and get the help and assistance he needs for long term. 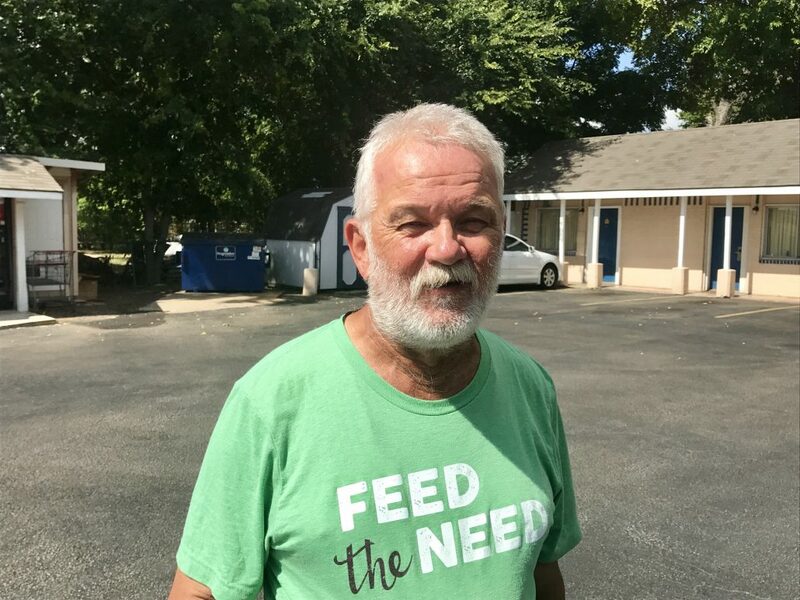 If you could be so kind and pray with us for a new place for Allen to live, and that we as a community can come together with resources that would get him the help that he needs. As we pray for Allen remember this verse: “Greater love has no one that this: to lay down one’s life for one’s friend.” (John 15:13) Help us get the help that Allen needs!